You may still be able to book by calling the hotel at 415-885-0200. You don't have to be Tina Turner or Aretha Franklin to book a room at the Hotel Diva; you just have to have an appreciation for the finer, more stylish things that life has to offer. 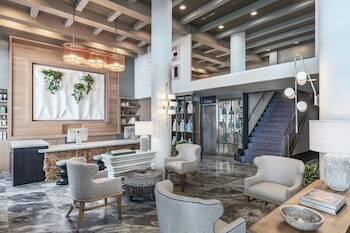 The hotel's 115 guest rooms were designed by a popular local architect who specializes in working with metals, and are decorated with fine touches like sculpted-steel headboards, cobalt blue carpeting and modern artwork on the walls. Amenities include flatscreen TVs, iPod docking stations, free wireless Internet and plush bathrobes, so you can lounge like a true diva (or divo). Located in lively Union Square, you're staying within blocks of many of the area's greatest things to see and do, like catching a show at the historic Golden Gate Theater to exploring the Museum of Modern Art or Yerba Buena Gardens. So go sashay out there. 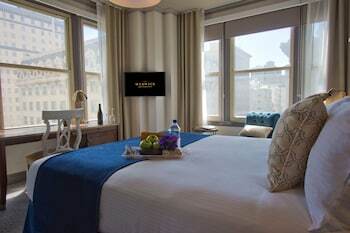 Hotel Diva is a 4-star hotel located at 440 Geary St, San Francisco, CA 94102, US . Its nightly price usually falls between $78 per night and $1379.2 per night, excluding tax, depending on room category. At Hotel Diva, AAA members often get 7-13% off the regular rate. For example, on December 23, 2018, a AAA rate of $98 per night was offered. Depending on your itinerary, your savings can be more than the annual AAA membership fee itself! Many Room 77 users are able to pay for their entire AAA membership in a single stay. At Hotel Diva, seniors often get 5-10% off the regular rate. For example, on December 23, 2018, a senior rate of $98 per night was offered. 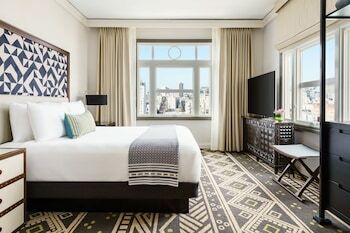 $78 per night found for a Loft Double Room - Non-refundable room type. For December 23, 2018, a special AAA rate of $98 per night was found for the Loft Room 1 Double Bed - 200 Sq. Ft. - - AAA 10 Pct Off room type. For December 23, 2018, a special Senior rate of $98 per night was found for the Loft Room 1 Double Bed - 200 Sq. Ft. - - AARP Rate room type. Hotel Diva sells rooms through sites like Room 77, Expedia, Hotels.com, GetARoom, and many others. Room 77 searches across dozens of different sites to find the lowest discount rates available. The lowest rate we've seen over the last few weeks was found on . In 1% of the cases we surveyed, all sites offered the same rate. You can compare real-time rates from all of these sites on Room 77. Room 77 is the only hotel shopping site that includes special discounts like AAA, senior, government, military, and corporate rates.